On behalf of Admin of JML Law, A Professional Law Corporation posted in Truck Accident on Friday, Sep 28 2018. Even if a truck driver did not violate a single vehicle code section, he or she may still be held liable for the accident if you can establish his/her negligence. Proving negligence in a truck accident – or any motor vehicle collision, for that matter – is a tricky endeavor. A truck driver can be fully or partly responsible for a crash, in which you were injured or your loved one died. Even if the driver traveled at a safe speed, did not run red lights, paid attention to the road, and was not drunk or drowsy at the time of the accident, he or she may still be held liable for the crash. And our Los Angeles truck accident attorney at JML Law is going to explain what it really takes to prove negligence on the part of a truck driver in California. Since trucks are the most dangerous vehicles on the roads due to their size and ability to transport cargo, the standard of care of a truck driver must be elevated above that of other motorists on the road. Therefore, in order to establish negligence on the part of a truck driver even if no vehicle code section was violated, you will be required to show proof that the driver failed to utilize reasonable care in the operation of the truck, which, as a result, caused injury to others. 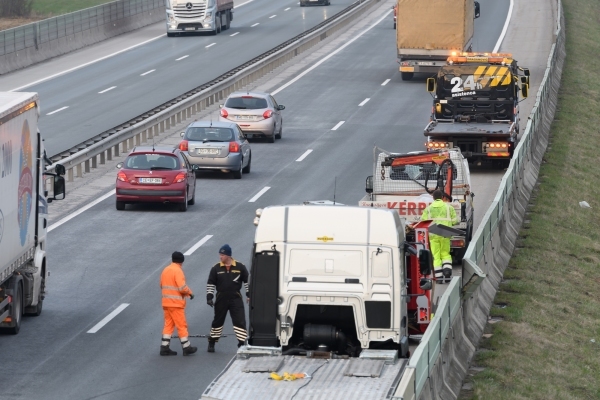 For that reason, your experienced truck accident attorney in Los Angeles or elsewhere in California will question the reasonableness of the conduct of the truck driver at the time of the crash. The driver’s experience, skills, and prior traffic violations and accidents will also be taken into account. As we have mentioned earlier, due to the monstrous size of trucks, there are special rules that exist for these vehicles. These rules regulate the operation of trucks and reasonable care of truck drivers. Generally, a truck driver must utilize more caution and care compared to drivers of passenger vehicles. This gives you an advantage if you are a driver of a smaller vehicle who has been injured in a collision with a truck. In California, a truck driver is legally required to use a higher degree of caution because their truck is loaded with tons of cargo. As you may or may not know, when you hit the brakes in a truck, it will take a longer period of time to come to a full stop compared to passenger vehicles. In that regard, truck drivers are required to exercise a higher degree of caution and not only travel at a safe speed, but also maintain a safe distance between the truck and other vehicles on the road. Failure to do so translates into the driver’s failure to comply with an ordinary negligence standard. Similarly, since it takes longer to stop a truck and trucks are generally less maneuverable than smaller vehicles, a truck driver is required to be more alert of hazards and dangers in front of their vehicle compared to drivers of passenger cars. Also, since there are more blind spots when operating a truck, a truck driver must use extra caution when changing lanes. If you cannot prove negligence without the help of a Los Angeles truck accident attorney, contact JML Law to speak about your case. Call our offices at 818-610-8800 to get a free consultation today.